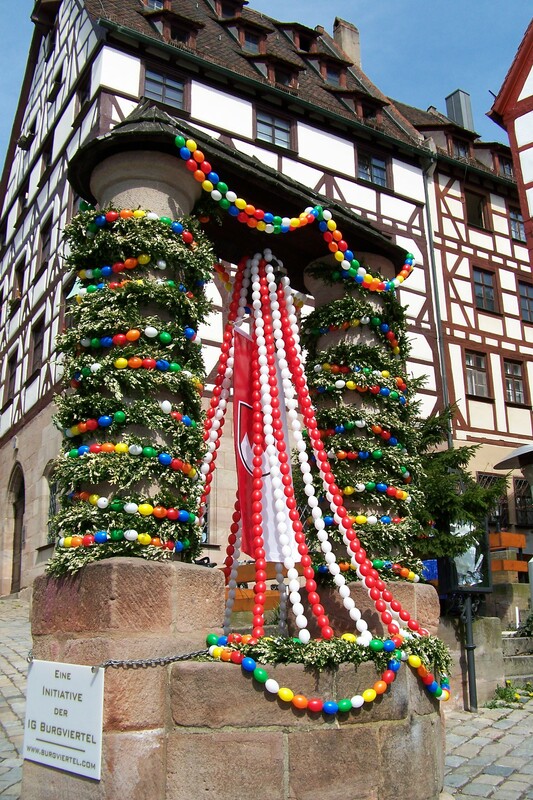 A German Easter tradition is decorating trees with eggs. My parents and I were in Nürnberg a few days before Easter, which meant most establishments were closed. While walking around town in Albrecht-Dürer-Platz, there was a well decorated in Easter eggs. I would have loved to see this, though. It’s a German man’s tree decorated with 9800 eggs and counting. This entry was posted in Europe, Photos, Wednesday photo and tagged Art, Easter, Germany, History, Photos, Tradition, Travel. Bookmark the permalink.